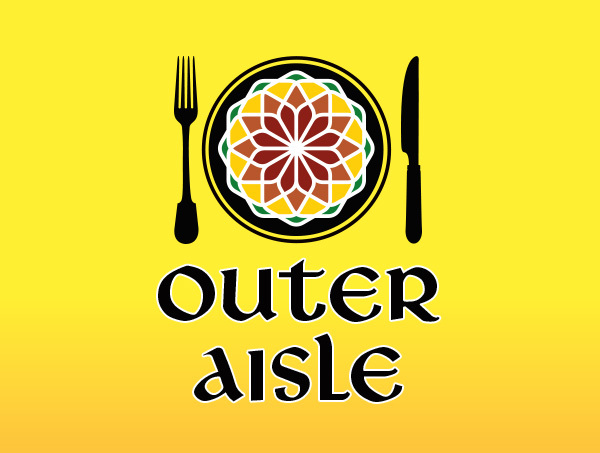 Outer Aisle is a farm-to-fork restaurant located in Murphys, California. In designing the logo we tried to embody the idea of mealtime as a sacred experience. Owners, Eric and Christine Taylor truly believe in the healing power of organically grown food. On two sustainably farmed acres they produce over 200 varietals ranging from heirloom tomatoes to broccoli and carrots. Their heirloom vegetables have an amazing one-of-a-kind pedigree – some of the seeds were given to them by a founding pioneer family and date back to the late 1800s. The carefully tended vegetables grown from these seeds result in flavors of distinction which add even more to the restaurant’s exciting menu.